To celebrate the final days of Mental Health Week, WA Youth Jazz Orchestra announces the Act-Belong-Commit Jazz Picnic Under the Stars Competition! 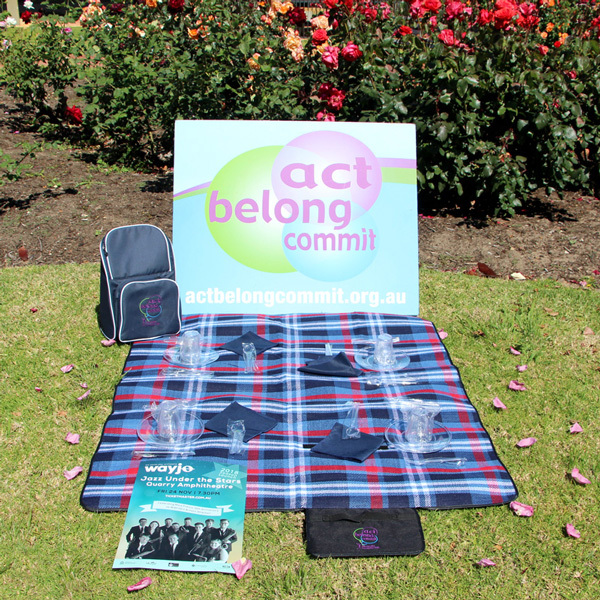 WIN one of two prizes, including double passes to WAYJO's Jazz Under the Stars end of year concert at Quarry Amphitheatre Fri 24 Nov from 7.30pm, PLUS a lovely picnic backpack for four, thanks to Healthway Act-Belong-Commit! To be in the running, tell us in 50 words or less how you Act-Belong-Commit to keep a mentally healthy mind. Need some inspiration? Head to actbelongcommit.org.au for online guides, factsheets & a self-assessment tool. Email entries with Subject “Act-Belong-Commit Jazz Picnic Under the Stars” to marketing@wayjo.com BEFORE Monday 13 November 2017. We look forward to reading your entries - good luck!